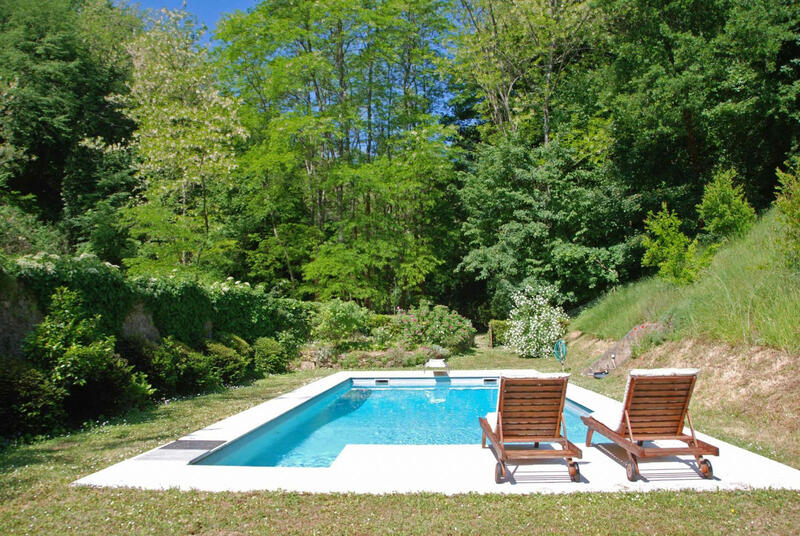 Holiday rental Molino Santa Lucia is a beautiful stone building (200 sq m) that includes private pool and WiFi internet. The property can accommodate up to eight guests comfortably in four bedrooms with three bathrooms. Conveniently located 6 km (4 mi) from San Gimignano, Italy in the tourist area "San Gimignano And Surroundings" and only 7 km (4 mi) from San Gimignano. In nearby towns there are local shops where you can find fresh produce and other items, but if you need a larger shopping center there is one located only 9 km (5 mi) from the property where you can purchase groceries and essentials. This wonderful house, which used to be a watermill, lies in its own small valley, at the end of the path to the stream. There is no other house in sight, no noise at all, there is no TV, it is (by some 200 meters) outside the network for mobile phones. The one-mile drive is not suitable for cars with low suspension or for nervous drivers. 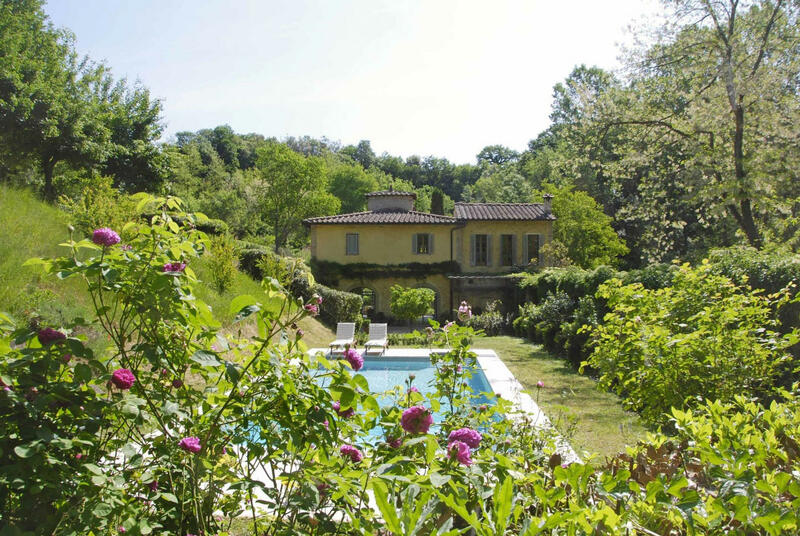 When you arrive at Molino Santa Lucia you’ll find a nice clean well-maintained property with views of the hills perfect for a splendid holiday in Tuscany. 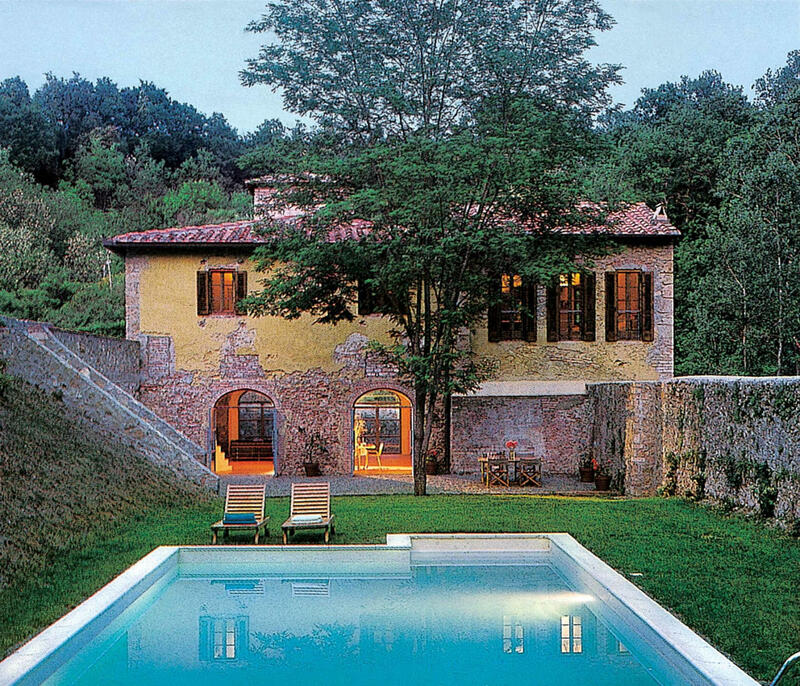 Regardless of how you spend your days - shopping, sightseeing, visiting museums or just driving in the countryside, when you arrive home you can unwind with your family and friends at the pool for a perfect ending to another day in Tuscany. A real time-saver is having a washing machine on-site that is available for the guests to use. Also available outside are a barbecue grill and patio. If you enjoy cooking for family and friends there is a well-equipped kitchen including coffee machine, microwave, toaster and refrigerator, as well as, plenty of tableware and cutlery for up to eight people. If you prefer to dine 'al fresco', there is a fully furnished veranda where you can enjoy the weather while dining outdoors. Most people enjoy visiting close-by cities and towns while on vacation, so for your reference this is a list of popular places with driving distances from the property: San Gimignano 7 km (4 mi), Greve In Chianti 42 km (26 mi), Siena 46 km (29 mi), Florence 56 km (35 mi) and Pisa 81 km (50 mi). The highway is only 34 km (21 mi) from the villa and there is a train station 8 km (5 mi) away. Some other major tourist destinations you should consider visiting are: Florence 56 km (35 mi), Viareggio 109 km (68 mi), Forte Dei Marmi 120 km (75 mi), Rome 275 km (171 mi), Venice 308 km (191 mi) and Milan 350 km (218 mi). Nearest Airports: Firenze Peretola (Flr) 72 km (45 mi), Pisa (Psa) 81 km (50 mi), Bologna (Blq) 157 km (97 mi), Roma Ciampino (Cia) 290 km (180 mi) and Roma Fiumicino (Fco) 302 km (188 mi). Maid Service - If you'd like maid service during your stay that can be scheduled by the owner. Ask for more details about the extra cost. Cleaning service included 3 hours a week. Kitchen: well equipped kitchen, dining table (people: 8), dishwasher, fridge, freezer, stove top, oven, toaster, italian coffee machine, american coffee machine, WIFI internet, exit to the garden. Living room: two sofas (people: 6), two armchairs, dining table (people: 10), WIFI internet, stereo hifi, exit to the garden, exit to the patio. Including: bedroom + ensuite bathroom, 3 bedrooms, 2 bathrooms. Bedroom + Ensuite Bathroom: double bed, WIFI internet, portable fan, basin, toilet, bidet, bathtub, hairdryer. Bedroom 1: double bed, futon, WIFI internet, portable fan. Bathroom 1: basin, toilet, bidet, bathtub, hairdryer, WIFI internet. Bathroom 2: basin, toilet, bidet, shower, iron, hairdryer, dryer, washing machine. Patio: dining table (people: 8), WIFI internet, terrace furniture. Garden: swimming pool (length: 11m, max. depth: 2m, min. depth: 0.6m, outdoor, private, width: 6m), barbecue, al fresco dining, dining table (people: 8), garden furniture, terrace furniture.